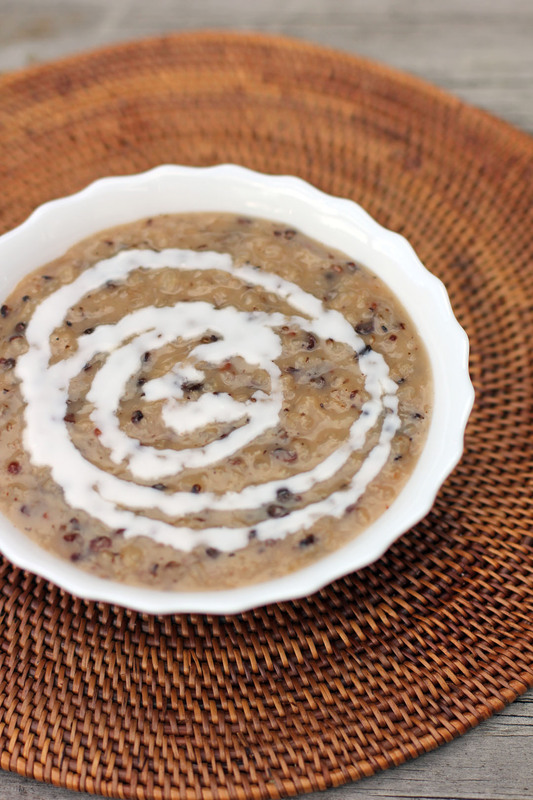 Lelot Balatong or Guninataang Monggo is a type of Rice porridge mixed with mung beans cooked in coconut milk. A popular Filipino dish which is commonly served during merienda (afternoon tea). I totally forgot about this dish, I even can’t remember when was the last time I had it. Luckily today this was waiting for me when I came home thanks to my wife who made it for merienda. In a pan add mung beans, place in medium heat and toast until brown. Once all toasted set aside to let it cool. Using a food processor, lightly pulse mung beans just enough to crack it open and not pulverize it. If you don’t have a food processor you can use mortar and pestle to crack the mung beans. Using a pot pour half of the coconut milk and water then bring it to a boil. Add the glutinous rice and mung beans then stir, cook in very low heat for 20 minutes stirring occasionally and adding water if needed. 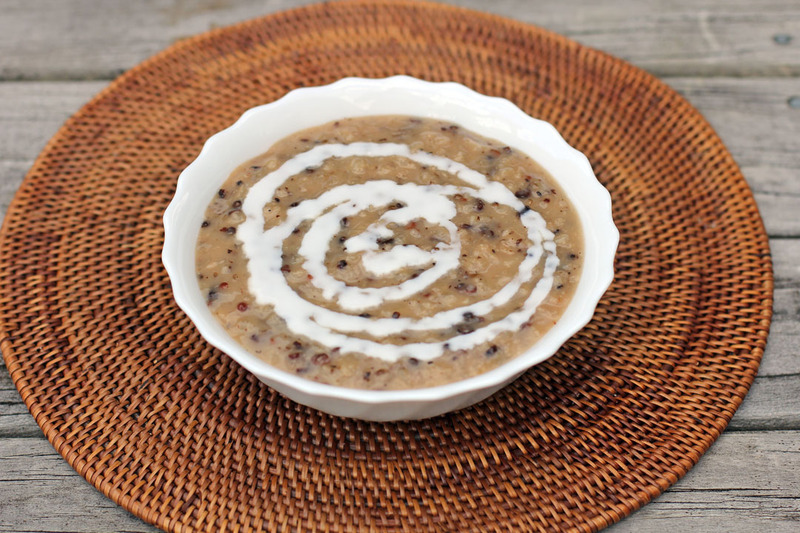 Once liquid is absorbed by the rice and mung beans and mixture becomes thick add the remaining coconut cream and sugar, stir and simmer for 5 more minutes. Serve hot with extra coconut milk for topping. I love your presentation of this snack…how you continued the circles of the mat with the coconut cream. How interesting! We have something similar in Indian cooking but ours is savoury. I love rice and lentil/ bean dishes….they are so tasty and naturally gluten free! This dish looks great! And an interesting way to use mung beans. Really good stuff – thanks. This are my kind of Asian dessert…love the glutinous rice…yum! What an interesting combination. It must be delicious! I grew up enjoying a similar dessert in Malaysia. Total yum! Sounds like good comfort food to me! Reminds me of a Chinese dish I know – can’t remember the name… made with sticky black rice and coconut milk – really tasty. Don’t think I ever had mung beans in a dessert before… haven’t actually had mung beans in general for absolutely ages. Looks very nice! can i use azuki beans or red mung beans instead of green mung beans here? i just don’t know how to do with it. i just found your site 3 days ago and i am starting to get hook w/ it. best regards!